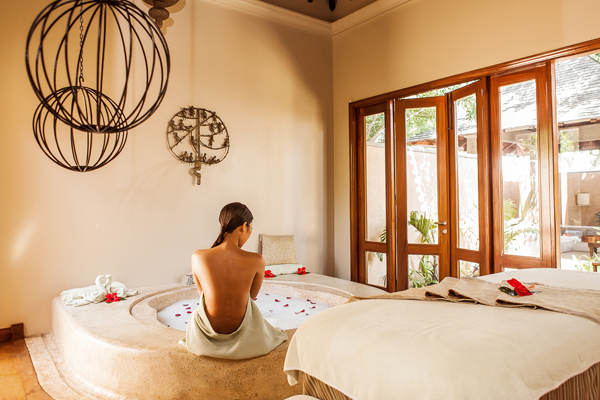 The award-winning holistic Maradiva Spa ( 1250 m2) located in the heart of Maradiva Villas Resort & Spa, inspired by the rich wellness heritage of India is the ideal place to harmonise both body & soul. The Philosophy of the Maradiva Spa is intrinsically rooted in Indian & Asian ancient approach to wellness. Inspired by traditional Indian & Asian healing, the Spa treatments enhance a positive flow of energy by treating mind and body naturally and holistically. The Maradiva Spa allows its guests to unwind and rejuvenate by experiencing the multifaceted culture that have influenced and made Mauritius so unique over the centuries. Royal traditions of wellness, holistic treatments involving body therapies, reviving and meaningful rituals & ceremonies, as well as the use of unique natural products blended by hand come together to offer a truly calming experience within this heaven of peace and tranquility. Maradiva is an exclusive haven of luxury in western Mauritius. Spread over 27 scenic acres with 750m of pristine beach overlooking the turquoise lagoon of Tamarin Bay, it is the only resort on the island to offer its accommodation in 65 discreetly opulent villas, each with their own pool and a tranquil living and dining area. 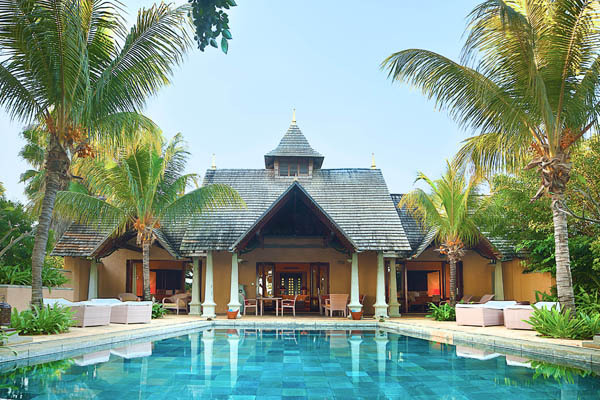 Set in lush tropical gardens, designed in the colonial style, and owned by an Indo-Mauritian family, the Resort’s personalized Mauritian charm provides an exotic and scheduled retreat to relax and revitalize. A member of the Leading Hotels of the World, its three Restaurants, two Bars, award-winning holistic spa and 24-hour butler service ensure every guest’s needs are met.